Want to beat the February Blues? Want to give singing a try? Want to meet up with former singing friends? What is it? – An informal afternoon singing just for the fun of it. What will I be singing? 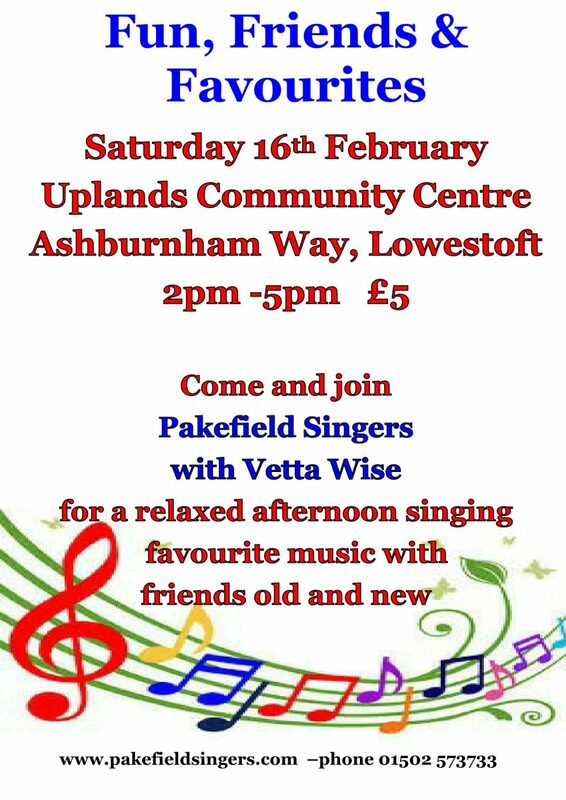 – Pakefield Singers’ favourites. What will I need? – Just your voice! Music and refreshments (with cake) provided.